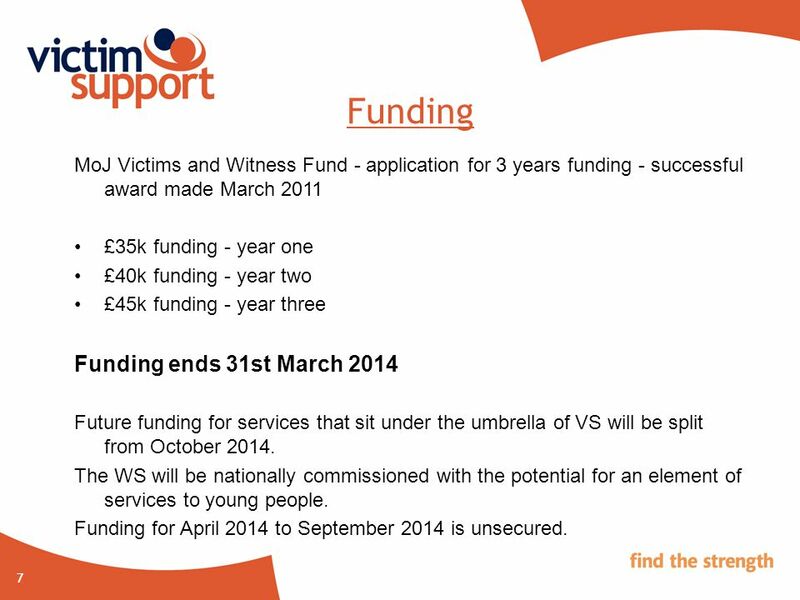 7 7 Funding MoJ Victims and Witness Fund - application for 3 years funding - successful award made March 2011 £35k funding - year one £40k funding - year two £45k funding - year three Funding ends 31st March 2014 Future funding for services that sit under the umbrella of VS will be split from October 2014. The WS will be nationally commissioned with the potential for an element of services to young people. 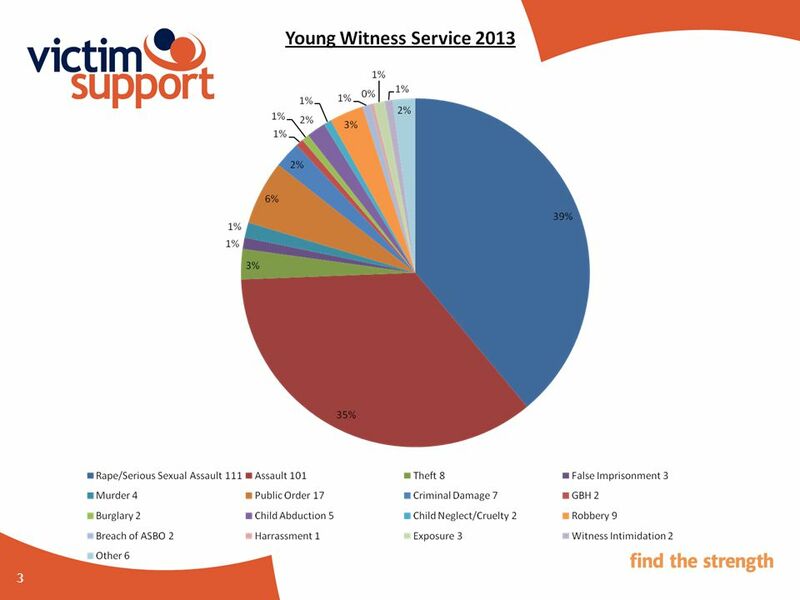 Funding for April 2014 to September 2014 is unsecured. 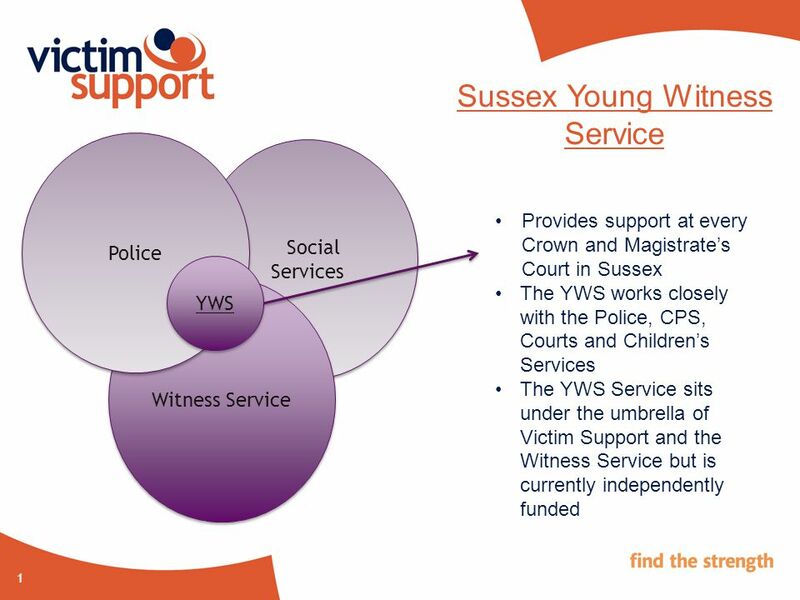 Download ppt "1 Social Services Witness Service Police YWS Provides support at every Crown and Magistrate’s Court in Sussex The YWS works closely with the Police, CPS,"
Draft Legislation on Reform of Provision of Young People and Children with SEN Children and Families Act. HOST A COMENIUS ASSISTANT. What is Comenius? Enhance the quality of European education Encourage the exchange of ideas and experience within the education. February, 2010 LEA Support Advisory Council. Agenda 2:30-3:00Discuss plan revision process (feedback and support) 3:00-3:30Discuss February workshops. Mini-Grant Application: Quality Improvement in the Area of Immunizations Catherine Shoults, M.P.H., Kansas Health Institute Kansas Public Health Conference. 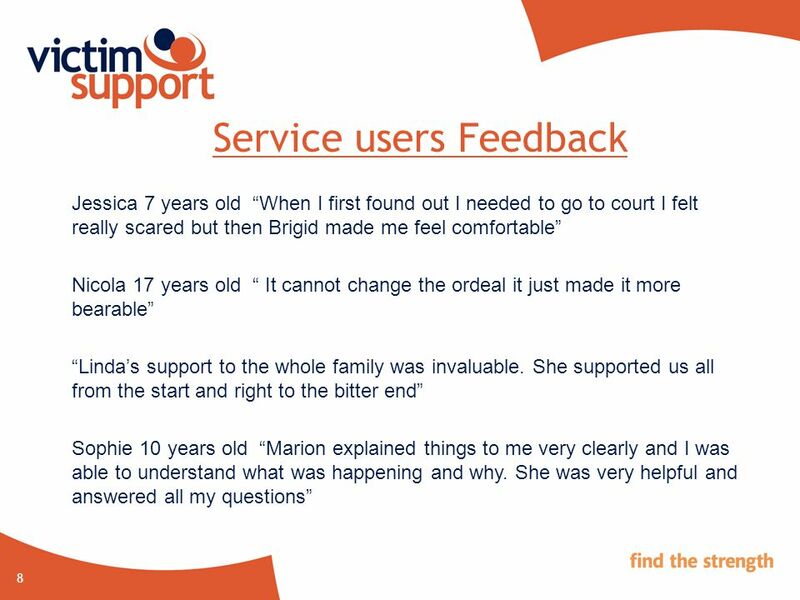 22 April 2002Health Services Research Unit Feedback From Parents : Using an Action Research Approach to Evaluate a Local Sure Start Programme Tameron Chappell. NIHR Leadership Support and Development The Trainee Programme 23 September 2009. 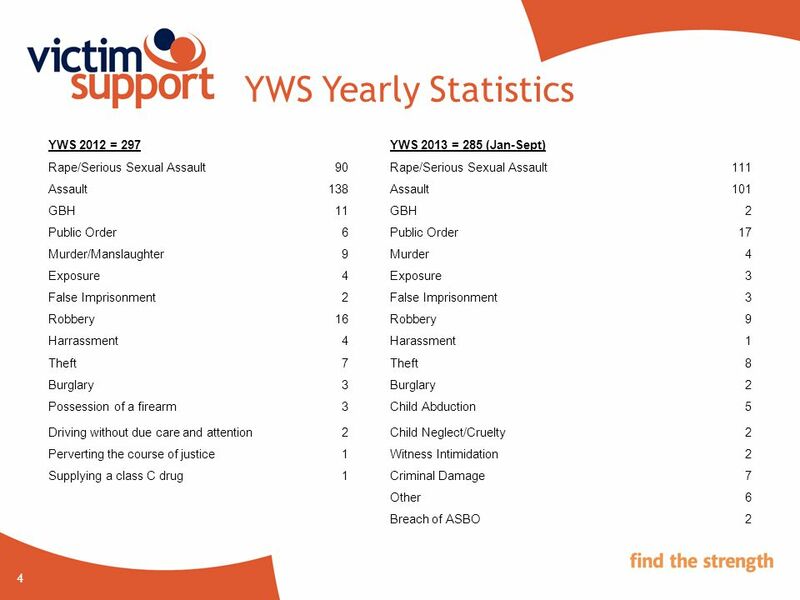 Ynys Saff: Providing a safe island for children and young people who have experienced sexual victimisation Amanda Robinson School of Social Sciences Roxanne. 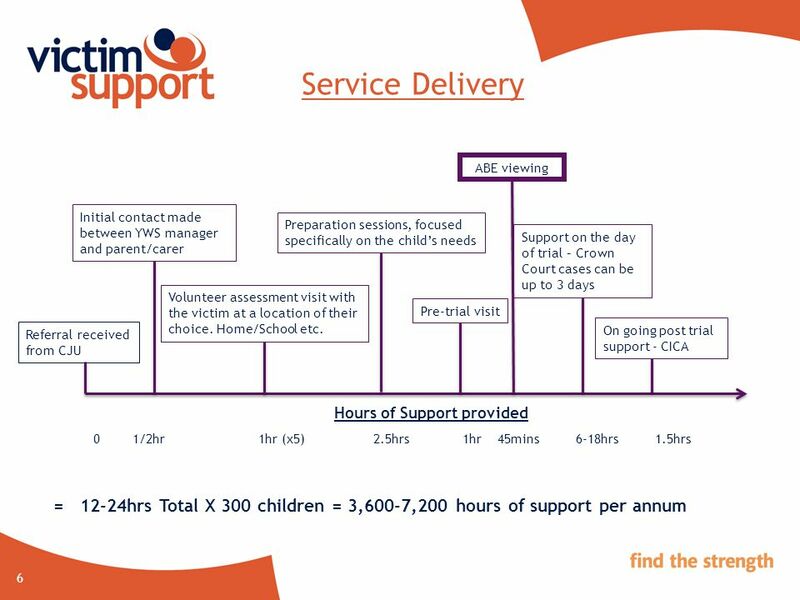 Who We Are The Child Abuse Prevention and Counselling Society (CAPCS), through the Mary Manning Centre, is the primary provider of therapy and victim. April 11, 2011 What is the Bucks County Reading Olympics? Competition to be held at Council Rock South Thursday, March 29, 2012. Santa Rosa County District Schools Evaluation Systems. 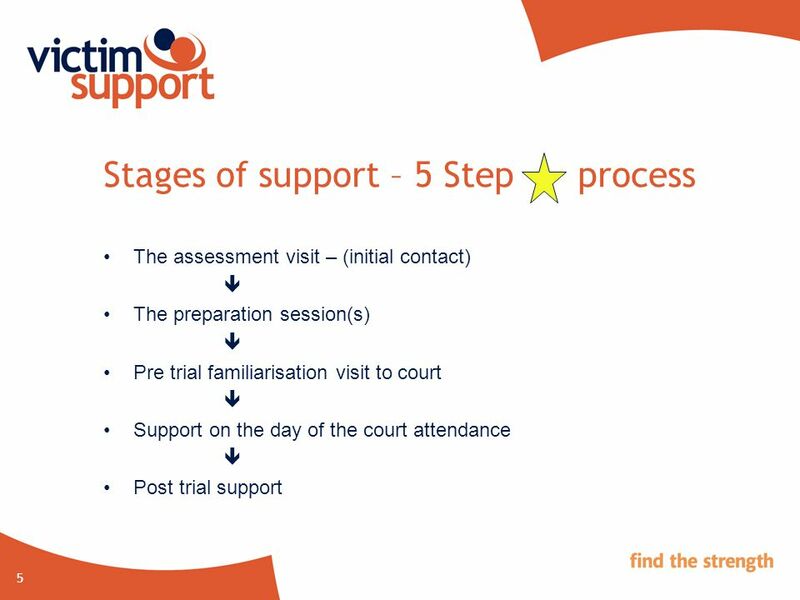 1 Information Sharing and Assessment Systems How to find out whether you need to apply for Children Index access or attend to CAF training Next slide Click. 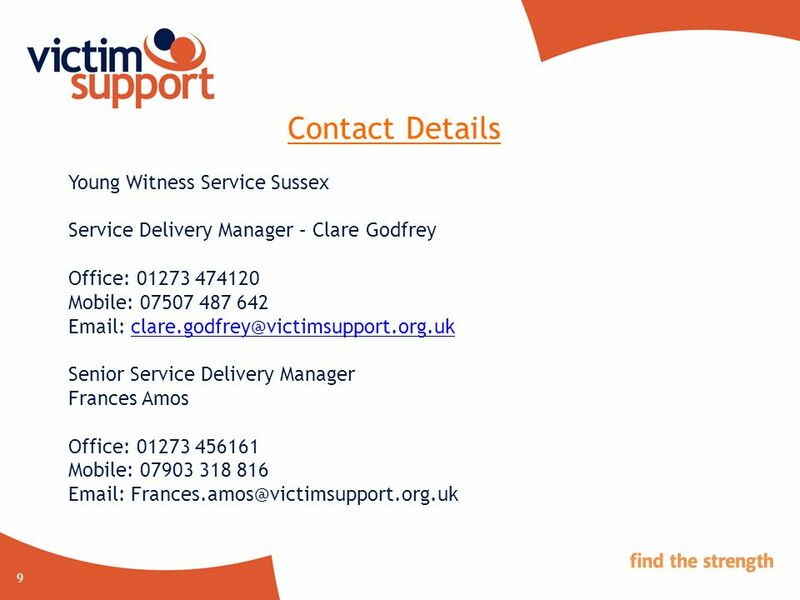 1 Victim Support A national independent charity supporting victims and witnesses.